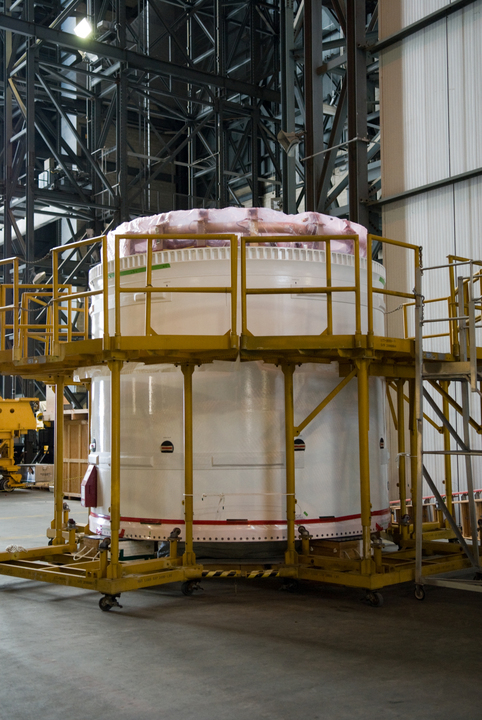 The Ares I-X avionics system is known as the “brains of theoperation.” Last week the first stage avionics were installedin the third, or aft, piece of the fifth segment simulator in the VehicleAssembly Building at KSC. Avionics controlevery active portion of the test flight, from liftoff to navigation to datacollection and parachute deployment. In addition to controlling the rocket, theavionics will be collecting, transmitting, and storing engineering data before,during, and after the flight. The information gathered by the avionics systemwill be incorporated into further computer simulations and analyses to helpNASA better understand how the Ares I crew launch vehicle will fly and interactwith its environment. Avionics hardwareis being installed in nearly every part of the Ares I-X flight test vehicle,from the crew module and launch abort system simulators to the aft skirt of thefirst stage. Ares I-X is growing smarter everyday!